If you were among the millions who grooved along to the Super Bowl LII halftime show last night, you probably noticed the marching band that accompanied Justin Timberlake throughout the show. The 320-member “Pride of Minnesota” Marching Band played alongside the pop superstar on the field of U.S. Bank Stadium in downtown Minneapolis, and marching within the ranks of the University of Minnesota ensemble were nearly two dozen current and alumni members of Drum Corps International’s World, Open and All-Age Class corps. Get #UMNmarchwithJT for the #PepsiHalftime during #SBLII! The calculated strategic approach continued and various NFL, Super Bowl hosting committee, and halftime production contacts were approached, working to convince them of the energy the band would bring to the show. The outreach even made its way onto the local news. Rehearsing for an event like the Super Bowl packs a lot of pressure and intensity into a very short amount of time. Students began practicing and learning the music weeks before coming together for their first rehearsal in January. “It was a post-season déjà vu moment that when we looked around at each other in rehearsal, and it seemed almost too surreal for what we were about to embark upon,” said Kyle Tsuchiya, Minnesota’s center snare and also a recent age-out member of the Bluecoats. With around two weeks until game day and having to keep details about the upcoming performance under wraps, the band finally began rehearsals on campus with the halftime production crew. Choreography and movement was added, along with a steady stream of small changes and tweaks. Rehearsals eventually expanded significantly to include hundreds of dancers sourced from the Twin Cities area — including the Minnesota Vikings Cheerleaders. The multitude of performers moved seamlessly across the practice field each night, living their normal lives during the day and meeting secretly for rehearsals when the sun went down. Little did anyone know outside the music department what historic things were going on inside that practice facility. With one week left, it was time for dress rehearsals inside U.S. Bank Stadium. Band members made the necessary academic sacrifices to miss classes for the eight-hour practices that allowed them to fit all the pieces of the halftime production together, including moving stages, pyrotechnics, and eventually the talents of Justin Timberlake. The band also had a recording session with members of Justin Timberlake’s team, who assisted in getting the musical selections blended perfectly with the electronics that accompany the track. Timberlake’s trumpet player and music arranger, Dontae Winslow, inspired the young musicians with motivational takeaways in between takes, urging a lifetime involvement in the arts, whether they become a lawyer, teacher, or performer. The buzz of Super Bowl Sunday was felt all around the Twin Cities, despite frigid single-digit temperatures that made it the coldest on record. Director McCann had the chance to be on the field during halftime, helping manage the flow of performers who streamed out from underneath the U.S. Bank stands to their preset staging as the halftime show began. Marching through the transition from Timberlake’s “Cry Me a River” to his Grammy-award winning “Suit and Tie,” were members of the band’s drum line. They met Justin Timberlake at centerfield, where their stick tricks and rudimental intro led into the chorus where the band joined in with horn flashes of their own. Watch the Pride of Minnesota's halftime performance on YouTube. After a tribute to the late Minneapolis music icon, Prince, a large portion of the band traded in their flags and instruments for reflective props, taking their role as dancers in the song, “Mirrors.” The stadium’s spotlights beamed down on the members that encircled the stage, sending shimmers around the stands that mesmerized onlookers. The finale brought the return of the tuxedo-clad band during “Can’t Stop the Feeling,” to end the show with the entire cast on the field. The hundreds of dancers got the audience members on their feet and clapping along to the catchy tune, as illuminated bracelets painted rainbow colors across the entire stadium. What band members kept referring to as a surreal experience culminated with striking a pose and absorbing the moment, where the magnitude of people cheered in approval before it was time to run off the field. 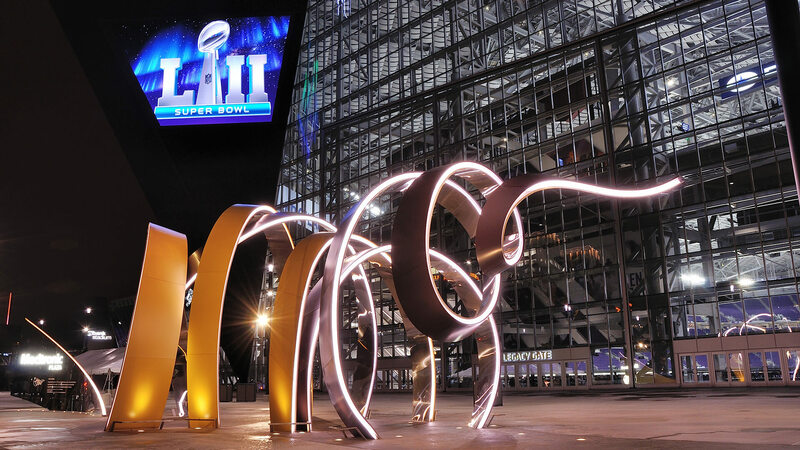 With Super Bowl LII in the history books, band members were ecstatic to represent the university’s home state in addition to their own Drum Corps International units on one of the biggest stages in the world. The staff and members of the Pride of Minnesota Marching Band represent a wide variety of World, Open and All-Age Class DCI corps. Izaak Mendoza was a member of the Blue Knights from 2008-2010, serving as drum major and percussion soloist. He continues his involvement with the drum corps activity as social media manager and video producer for Ascend Performing Arts. Mendoza has written for various marching publications and arranges percussion parts for several high school and college programs. 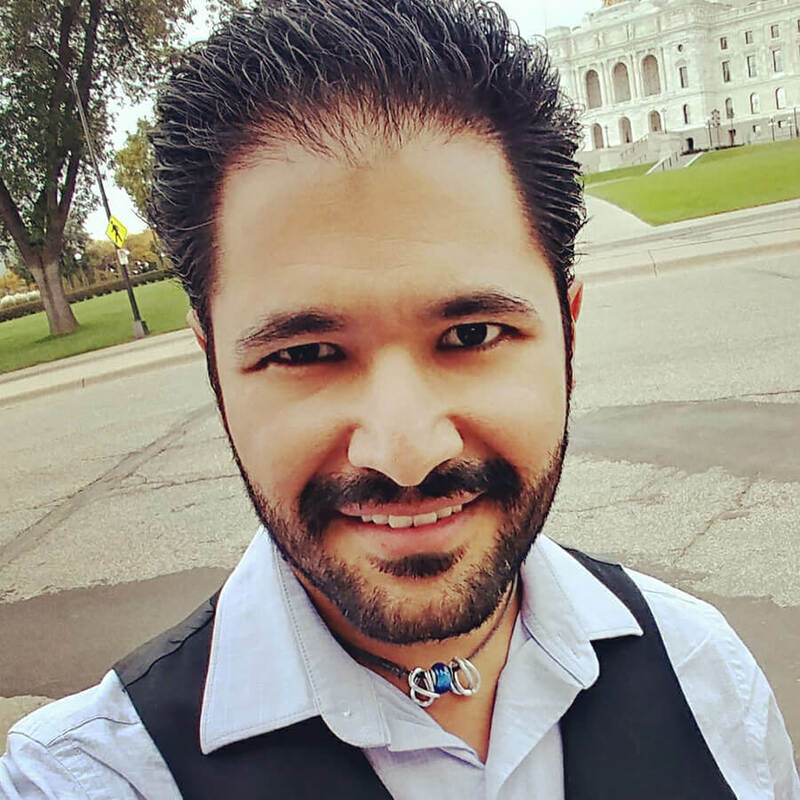 He is pursuing a dual Master's Degree in Public Policy and Business Administration from the University of Minnesota, where he marches on the snare line of the Pride of Minnesota Marching Band.